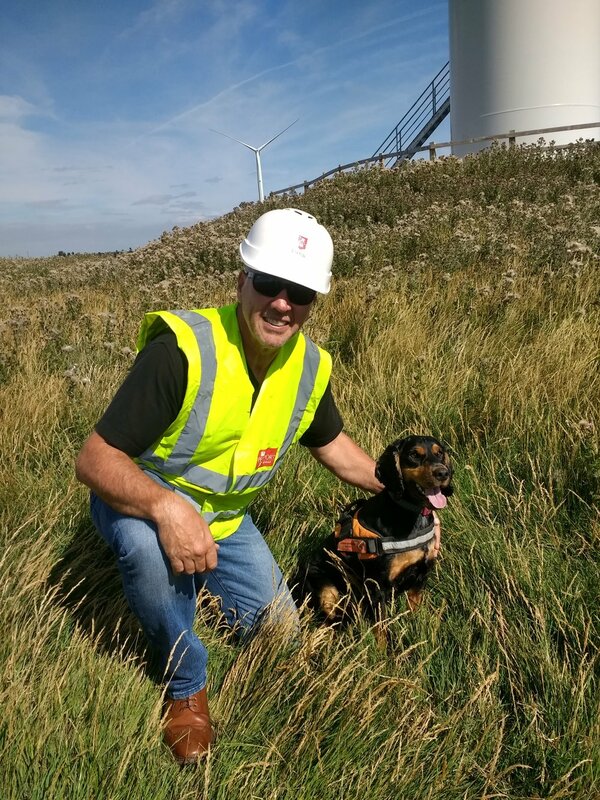 In April we introduced you to our furry friend Arnold, now meet Sascha and Rockstar who are also part of our environmental survey team! All three will be on the wind farm till the end of September, helping us out with our bat surveying. Here's Sascha and our Operations manager on site at Frodsham.